Big quote: "It’s time to kickoff a #FortniteBlockParty! The most exciting and imaginative islands built in Creative will be featured on the “The Block” in the Battle Royale map. Can you create something that will inspire the world? Will you become Fortnite Famous?" On Wednesday we reported how Epic accidentally leaked that they would be adding a creative mode and then went ahead and announced it anyway. “The new mode lets players build on their own private island and invite others to play their finished maps,” is how we described it. During The Game Awards Thursday night, Epic literally dropped a massive slab of concrete in the game right on top of Risky Reels smashing it into oblivion. The new area created is called “The Block,” and this is where the coolest user-created content will reside. The most creative and imaginative islands will be featured on The Block, and new creations will be voted in regularly. It will act as a showcase for the best content creators. Apparently, there are already some contenders. According to FortniteINTEL, several players have already built some very cool maps including a recreation of the Nuketown map from Call of Duty, Cache from CS:GO, and Alexandria from The Walking Dead TV series. The mode has only been live for a day, so these recreations are just the tip of an iceberg that has yet to emerge. 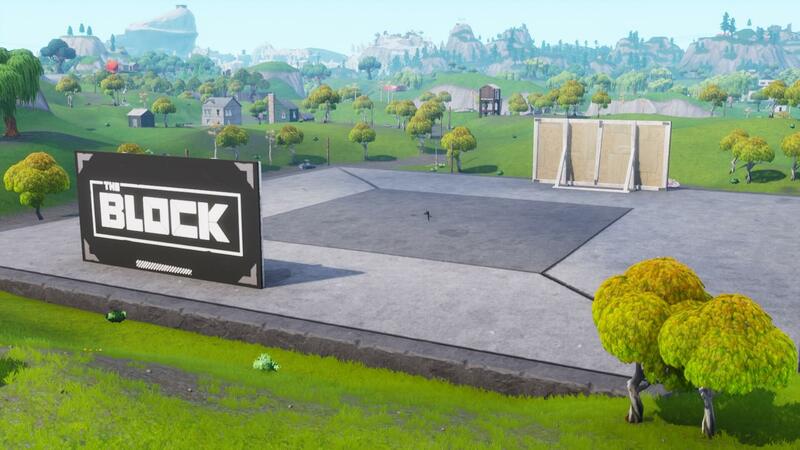 Before you try your hand at trying to get your creation featured on The Block, Epic has a few tips to keep in mind while you are creating. First, keep your tile area within 25x25 on the flat section of your island since this is the size of The Block. Keep your “Memory Used” under 50,000. Judges are looking for tight, efficient designs. Do not worry about including chests or floor loot in your map. Epic will add these things. Lastly, share your creation on social media with the hashtag #FortniteBlockParty so the judges can check it out. Other than that, have at it. If you have always been good at creating maps and levels in games like Minecraft or Super Mario Maker, give Fortnite’s Creative Mode a try. It did not mention if there would be any prizes for featured islands, but it would not be uncharacteristic of Epic to offer up some V-Bucks or something as a reward for a job well done.